From M. E. Hume-Griffith and A. Hume, Behind the Veil in Persia and Turkish Arabia: An Account of an Englishwoman’s Eight Years’ Residence Amongst the Women of the East (1909). 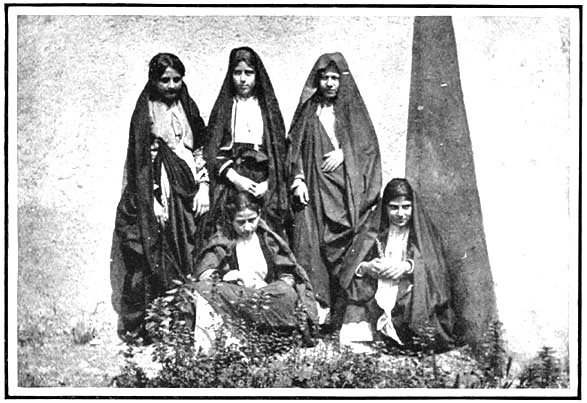 The authors note that these are Christian women, presumably Iraqi Chaldeans, and they alleged that Muslim women declined at that time to be photographed. Since there are many photos of Muslim women from this period, it is more likely that they declined to be photographed by British missionaries.